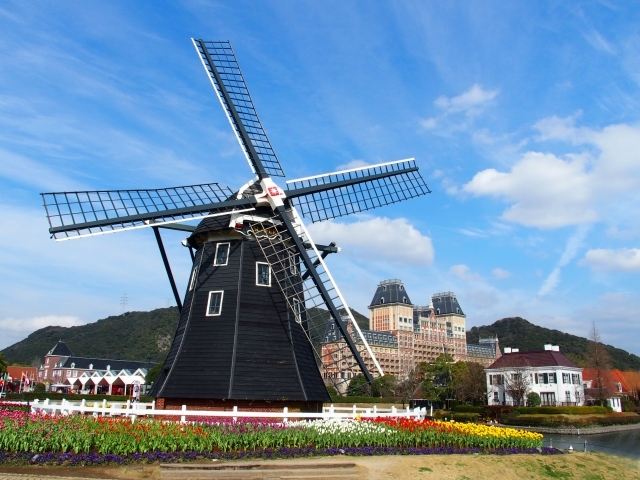 Kyushu with Its Fascinating Eight Prefectures! 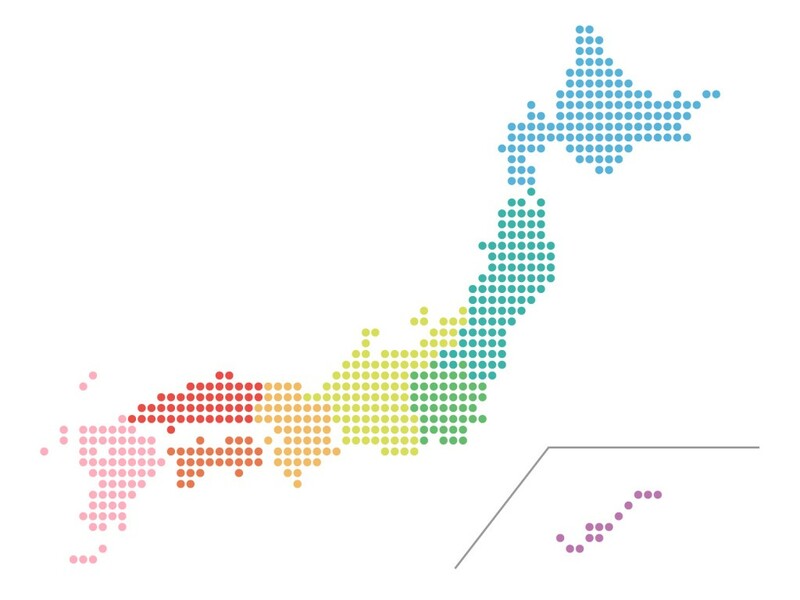 There are 47 prefectures in Japan. They are also grouped into four islands, Hokkaido, Honshu, Shikoku, and Kyushu. 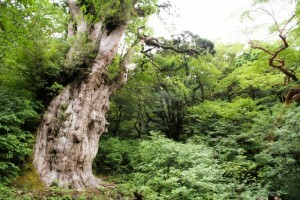 In this article, we will cover the Kyushu Region. Kyushu region is situated in the southwest of the Japanese Islands. It consists of eight prefectures, Fukuoka, Saga, Nagasaki, Kumamoto, Oita, Miyazaki, Kagoshima, and Okinawa. Kyushu is Japan’s third largest island after Hokkaido and Honshu. But why has it been named kyushu (nine states) region though it holds eight prefectures? Actually there were nine states in Kyushu region a long time ago. Japanese government made the administrative reform 145 years before now and then Kyushu region was reconstituted into eight prefectures. But the name “Kyushu” remained. This is why it is still called Kyushu region. Now, These are the eight prefectures in Kyushu region. Fukuoka is situated in the north of Kyushu island and holds the largest population in Kyushu region. Fukuoka city and Kitakyushu city in Fukuoka are the biggest cities in Kyushu and flourished. 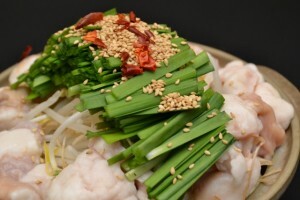 Fukuoka is famous for its delicious foods like karashimentaiko, tonkotsu ramen, motsunabe, and mizutaki that is made by cooking chicken and vegetables in the sea tangle stock. Saga is situated in the northwest of Kyushu island. Both the population and the site of Saga are the smallest in Kyushu, but the population density is second highest next to Fukuoka. 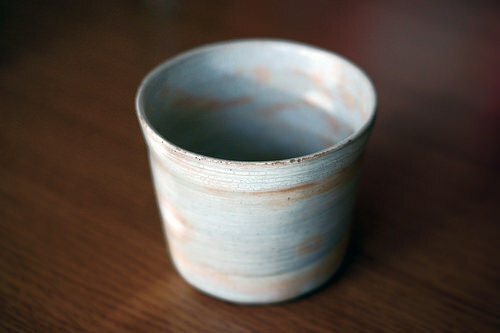 Saga has been famous for ceramics from old times and Aritayaki and Imariyaki have a high reputation in the world. Nagasaki is located at the west end of the Kyushu island and surrounded by the sea other than the area adjoining to Saga prefecture. There are the most number of small islands around Nagasaki prefecture in Japan. 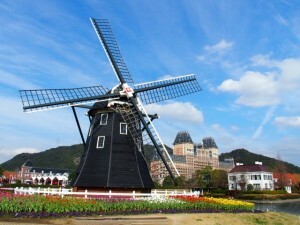 Huistenbosch in Sasebo, Nagasaki is the largest theme park in Japan. Be sure to go there when you visit Nagasaki prefecture! Kumamoto prefecture is located in the center of Kyushu island and surrounded by mountains. And especially Mount Aso is famous in Japan. 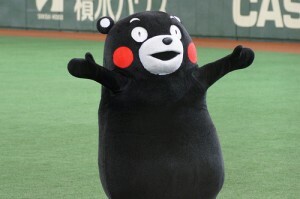 Recently yuruchara is popular in Japan and Kumamoto’s yuruchara Kumamon is as popular as keeping high in the rank at the yuruchara popularity vote every year! Oita prefecture is located in the east of Kyushu island. Oita is famous for hot springs and holds the most hot springs in Japan. A movie uploaded to youtube in 2015 that introduced Oita became popular and more and more people are watching it. The commercial called “synfuro” that mixed the hot spring and the synchronized swimming is new and funny. Please check it up! 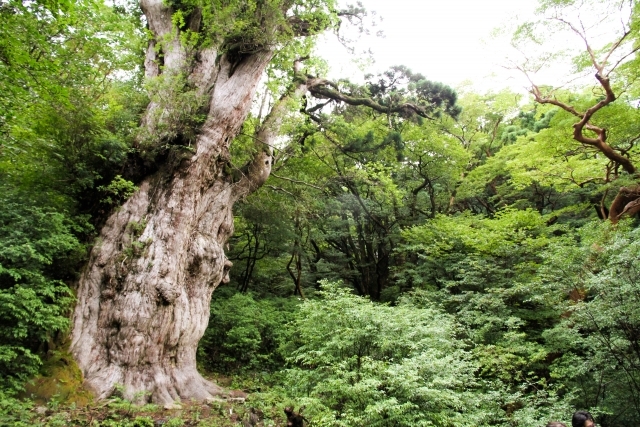 Miyazaki prefecture is situated in the southeast of Kyushu island. It is hot like a southern country. Therefore a lot of fruits are grown there and especially the mango called “Taiyo No Tamago” is very popular as being ordered by people all over Japan. 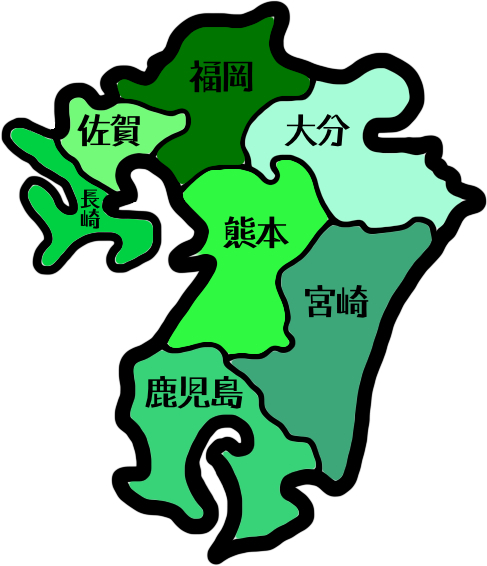 Kagoshima prefecture is located in the south of Kyushu island. There are some small islands on the south side of Kagoshima, and among them one is Yakushima that is registered as a World Heritage Site and the other is Tanegashima Space Center. Kagoshima is also famous for the volcano called Mount Kirishima. 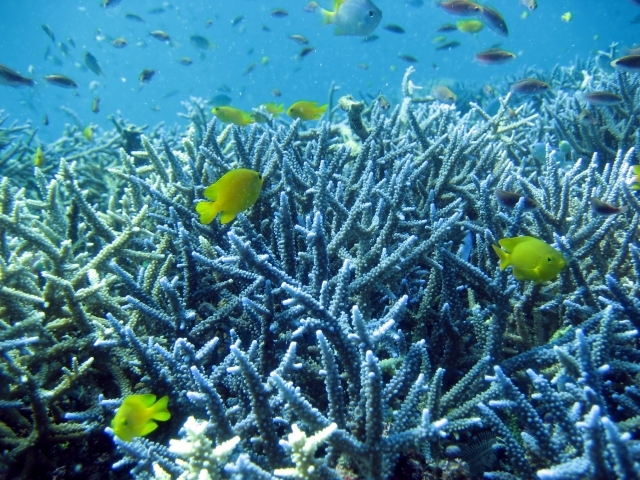 Okinawa prefecture is located in the southeast and the westernmost of Japan. 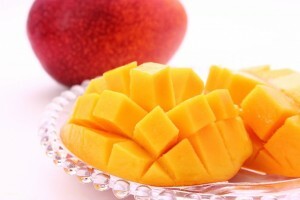 It has a tropical atmosphere and abundant with nature. It once had been a country called Ryukyu Kingdom. Okinawa has the sea that is sometimes said to be the most beautiful in the world and is the leading tourist resort in Japan. Japanese Christmas Is for Lovers? Copyright © J ● T | Japanese Traditions and culture All rights reserved.